Come over to jump, flip, and play.. We're celebrating a birthday today! Let Sweet Wishes help you celebrate in style! 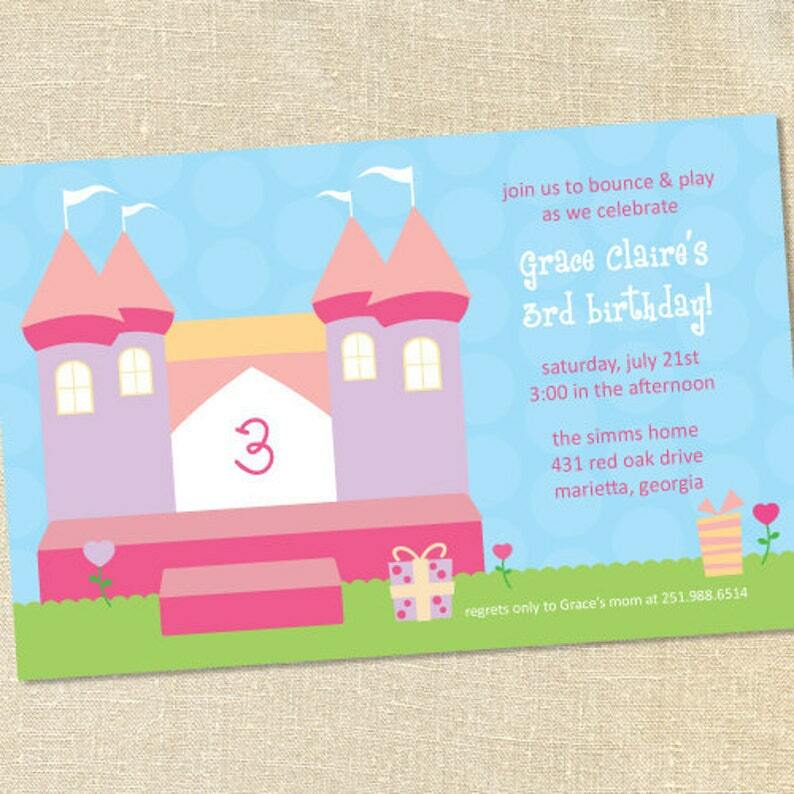 This precious invitation is perfect for your little princess' jumping party! The colors are customizable, so they work well with any theme or color scheme!